We open a menu with curiosity and expectations, to prepare our moments of pleasure and conviviality around the table. Menù, with its finishes and dimensions, gives multiple answers to our needs, always ready to add places around the table. 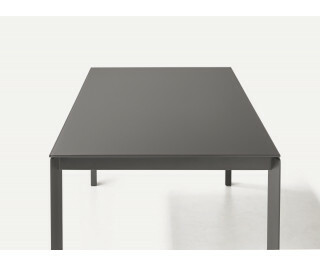 Extending or fixed table with painted metal legs. The top is available in laminated, lacquered wood, glass or ceramic. Menù is equipped with independent manual extensions that increase the support surface according to requirements.